“Soviet troops have invaded Poland with Germany. They were “allies”. Even Alice Parizeau in her wrightings say that her stay in all those german camps was nothing compared to the soviet camps. She has nothing to say about the german camps but have pages after pages of descriptions of the horrors of soviet camps during and after the war. She speaks alot of the infamous NKVD but does not seem to know that it was in the hands of jews. Britain and France had lost the war long before that. They have lost the war they declared on Germany. Churchill did not have the “rapport de force” no more to object to Stalin’s and Roosevelt’s (from Dutch jewish banker family) split of Europe. Woodrow Wilson had been bribed in the previous war to help Trotsky at all cost. The Soviets and NKVD exterminated all the polish officers and intellectuals at Katyn. Did nothing ? The NKVD was following the resistants and arresting them as soon as they succeeded in capturing posts ! They executed them and send the rest to goulags ! Alice Parizeau was lucky to fall in the hands of the Germans ! She knows this very well. 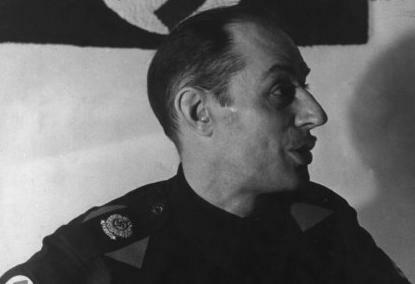 Polish resistance was hoping for allies’ help (Britain-France) and kept fighting in that hope. It of course never came. Poland’s fate was already decided by Stalin and Roosevelt. I know very well Pilsudsky’s great feats. But also the bolchevik context in it. The Polish Communist Party especially. The ennemy within. Pilsudsky changed his opinion on jews after 1924. His eyes opened. Too late. A nice story from uncle Menachem Begin, head of the infamous terrorist organisation IRGUN ! I mean, Alice was a deep rooted zionist. GT–I had heard of Azev (as I would spell his name). The organization he (theoretically) belonged to, the SRs, were *rivals* of the Social Democrats. After the Bolsheviks took power, they wiped out the SRs they could not co-opt. One of them, a woman named Fanya Kaplan (yes, she was Jewish) (rolls eyes), shot Lenin and seriously wounded him in 1918. And probably shortened his life. Pilsudski’s organization was called the Polish Socialist Party (PPS). It was also a rival of the local Social Democrats (SDPKiL). There was no “Polish Communist Party” until 1918. The PPS and the SDPKiL never cooperated, as the PPS favored an independent Poland while the SDPKiL did not. Some SDKPiL members turned up later during the early days of Bolshevik rule in Russia, notably Feliks Dzierzynski, the first chief of the CheKa (the organization that was the forerunner of the NKVD), and our old friend Jakob Fuerstenberg/Hanecki. I’m not here to write a brief in favor of the Russians’ massacre of Poles at Katyn, but the Germans contributed to the postwar absence of intellectuals and trained military men in Poland in their own way quite nicely as well, thanks. I was more or less aware of the NKVD’s 1944 crushing of the AK in the areas east of the Vistula, but thanks for reminding me. Happened at more or less the same time as the Warsaw Uprising, and is more proof–as I have already written once–that Russians and Germans, whether they are Communists, Nazis, or Vegetarians, will always gang up on Poles. But I stand by what I wrote about the Soviet *Army’s* doing nothing while the Wehrmacht and its allies cut the AK to bits. The NKVD were always rear-echelon troops (cf. the German SD), not front line soldiers such as were found in the Soviet Army. I am glad that you think that Franklin Roosevelt was from a Jewish family. He would have been surprised to hear it, though. This thread with all the nazi nationalist history and which figures in Quebec may have admired various strains of fascism, and all this para-history about who may or may not have known whether they had any “Jewish” DNA or wished to conceal it is kind of a “bad blood” thread in my view. I am proud to say I personally am a complete mongrel blood, (or perhaps in the wizarding world, a “mud-blood”). I am pretty sure I also have some gallic blood with a surname of Abbey — obviously this corresponds with the arrival of catholicism in 1066 in angleterre with the Normans, and the gift of French to be instilled forever into English. Yet my parents were protestant, and I protested that fact by deciding there is only one life to be lived — this present one. I have no delusions of the afterlife, in any language. I too cannot say for certain whether there is any ancester of mine who revered the Torah and kept the ten commandments, and frankly I don’t care. The Jewish faith, as I understand it speaks to ones relation to the creator, and keeping faithful to the creator’s moral laws, according to an ancient and rich cultural tradition also honoring knowledge, expertise, family and community. It is not much concerned with the afterlife; mysticism, agnosticism and atheism are widespread among jewish adherents of their cultural linguistic and monotheistic tradition. It is not about the afterlife at all really, but about how one lives this life on earth, whether one is a “mensch a good person” or otherwise, and bien sûr, that may be variously defined within the culture. Gébé has talked about money as a driving principal of jewish existence. Well if you are subject to pogroms and ghettos and ethnic cleansings throughout history, and being made to bear responsibiltiy for the death of Christ, and be the scapegoat of bigotry and all the ills of society, then you better have some money, so you can move to somewhere else where you can use your expertise to make a new existence, and pass on education to your children! While I agree no one should make the money of Goldman Sachs traders or Bill Gates or Warren Buffet without absolutely astounding tax claw back levels, I think there is a lot of prejudice against jewish people that comes up in this thread which is very regrettable. Countless Jews are great artists, musicians, creators, surgeons, entrepreneurs who benefit the health and wealth of society as a whole and who are sociable and responsible citizens, good Canadians. Yes they are a prominent grouping in western society and are also very prominent in philanthropy, in sponsorship in the arts and in medicine. You can argue with Jewish nationalism to the level of Zionism with militant push back against the Palestinians and other Arab neighbours, who did suffer loss because of the geopolitics, especially British, but also American, French, etc that set up an independent state in 1949 after the Holocaust. And remember the Holocaust was real, and can never be justified or rationalised. I do have Jewish friends who are superb people, among them my professional mentors and colleagues. I have Arab colleagues and friends similarly. I have an Iranian friend who speaks French better than English. People need to seen on an individual basis, not on an ideological basis. To do otherwise is to lose your own humanity. Unfortunately a lot of Québec separatist sentiment is highly theoretical and ideological spoutings, mostly about the past, a past which is indeed past tense, no matter how intense, and thus lacking in people empathy and friendship building “smart skills”. That is sad, and of course it also evokes counter sentiments amongst westerns who don’t get much opportunity for contact and exchange. Then we have ABP who wants his brain surgery by the best surgeon,… and… clearly he needs it very badly! Especially to the Right frontal lobe, — the seat of “emotional” intelligence. But there are others here as well, who need, like ABP, some double surgery, both brain and heart! The Award goes…(drum roll)… to this thread! I’m with you on that ! Go Flyers! Would not touch any club that is owned by the Molsons ! They are no more Canadiens. They are Montrealers now. Then it means that you have a very very bad attitude problem. Because no other culture has. It is the way they educate their kids. Talmud especialy. Antisocial. They really think that all the rest of the world is their problem. Schizoid-paranoïds. “Then it means that you have a very very bad attitude problem. Because no other culture has. “YOU are a racist here, and a huge bigot, clearly. Too bad, but enough of your hateful spin. If you need to see schizo-paranoid you should perhaps take a good long look in the mirror. WOW again! You are the attitude problem here! Too bad — obviously intelligent– but very twisted up inside. Your prejudice is breath-taking! Not a Canadian value that’s for sure, and you’re not bringing honour in any sense to your mythic separate Québec! You can not make a race by education, Bruce. And what I said is true. No other group is the target of pogroms in ALL countries of the world. Your comments are just emotional reactions. A brain dont reason in such a state. Just like a angry woman. But the whole idea behind the antisemitism scheme is to provoque emotional responses (like yours) that short-circuit reasonning. Don’t like the way you portrait Gébé as a typical separatist though. He’s as representative as a separatist as… well I don’t know a federalist equivalent, because these people, on both sides, don’t really are front page matter. Say Don Cherry, but it won’t come close. Remember, this Gébé sees Jacques Parizeau as guilty by association of being a deeply rooted zionist; “Not suprized at all that Jacques Parizeau ended up in jewish hospital,” he said, I don,t really know, but I think Parizeau (and his former wife) must only be a zionist in the sense in which most people, including Palestinian leaders, are, i.e., being for a two states solution. I am sure though that he would have been more than happy to receive this qualificative in 1995; it may have helped him score some points in the West Island ! Bruce – and Tony Kondack, and Ackajack, etc., instead of seeing it as a Canada/Québec issue, we should team so that the people of the AngryFrenchBlog would be liberated from the Gebeist occupation entity. We could call it the Front de Liberation du AngryFrenchcBlog, to get back our small part of the blogosphere so that we can retain our specific culture, and continue to hold to the distinct society we form. Our manifesto could begin “The Front de Liberation du AngryFrenchBlog is not a robin hood of modern times…” and we could ask for the liberation of all relevant political topic from the chains of the obsessions of the Gebeist entity. There is, you know, a Protocol of the Sages of Gébélion, which said that they (the Gébéist(s), many or one) will use all the ressource of trolling to ruin as many blogs and forum in Québec blogosphère as possible and turn every good conversation about whatever subject into a long rant against the jewish people. The troll wants us to engage with him, to get angry, so he insults those who critize him as emotional, or he call those who don’t want to fight with him cowards. Nothing good comes engaging with a troll. Even one who believe what he says. Now that is interpretation due to a emotional-reaction affected brain again. I never said he was guilty of something. I dont think he was responsible for being sent at this hospital. And I am convinced that his first wife’s connection with the jewish mafia-sect had something to do with his later attitude on it. Alice Parizeau died in 1990. Behind the scenes in the middle of the 1995 referendum, the way Parizeau talked about the “jewish lobby” was of a man who knew what they were all about. And second, I am not a separatist. I am for kicking english Canada OUT of Québec. I think you are out of arguments, Tancrède. Ne t’inquietes pas! Je sais bien qu’il n’est pas un séparatiste typique. That abbreviation for the pre-1918 Polish Social Democrats should be SDKPiL. My bad. Yes, they called themselves Social Democrats at that time. Even in Germany. Romania. Today it means something diffrerent so I say Communist Party for all of them. Not many people have your knowledge on the matter. As you and everyone else on this forum is playing mental masturbation with an anti-Semite, the most important poll in history on the language issue in Quebec was published this week: 61% of francophones in Quebec want freedom of choice in language of education. See if you’ve got the balls to discuss it. @GT–I think it is fair enough to call the SDKPiL proto-Communist. The Bolshevik wing of the Russian Social Democrats would fit this description, too. I have always thought that the ethos of the PQ very much resembles that of the PIP, the Puerto Rican independentistas, who also call themselves Social Democrats. Interesting link about the PIP. Btw, I don’t know for Poland, but don’t buy the idea that Social Democrat was the same as Communist, at this point in time. Kautsky, one of the leaders of the German Social Democrats, leader of the IIth Socialist International, was in open conflict with Lenin (who wrote a pamphlet against him in 1918 and called him a “renegate”) and wrote a book called “Social Democracy vs. Communism” later. His objections were mostly that the so-called proletarian dictatorship was the instauration of a bureaucratic dictatorship (which is not particular to him or to the Socialist Democrats, since Bakunin, before, critized Marx, and later Trostky critized Stalin, for the same reason). Even then, therefore, “Social Democrat” wasn’t the same as “Communist”, in the strict sense. The meaning has evolved into something much more subtle, but the opposition between a certain reformism and dogmatic revolutionism, and between a respect of democracy and a willingness to jump into dictatorship, has stayed. Another example of the N-th Law of Trolling: A troll doesn’t fear feeding misleading infos and self-contradiction into a forum, and use creative re-interpretation of his own writing instead of recognizing his errors. Zach Gebello/Gébé Tremblay seems to operate this way. @Tancrede–German (and Austrian) Social Democracy bore (and bears) the same sort of relationship to the kind that prevailed in the Czarist empire as tapioca does to habanero pepper sauce. The early German Communists either came out of a minority breakaway left wing of the Social Democrats (the “Independent Social Democrats”) or from the Spartakusbund, three of whose founders were the SDKPiL veterans Roza Luksemburg, her boyfriend Leon Jogiches, and Julian Marchlewski. My grandfather was an Austrian Social Democrat. He was neither a Communist nor a sympathizer. International Communism spent most of the 1918-33 period saying nasty things about Social Democracy in the German lands, as Moscow regarded the Social Democratic leadership as obstacles in the way of the workers’ revolution that it believed to be imminent. I have already gone over some of the history of the Polish left here already. Poland was complicated and oddball because it was divided among Germany, Austria, and Russia before 1918. Many prominent Polish leftists, especially those from the SDKPiL, eventually wound up leaving Poland to play parts in the German or Russian revolutions. everybody’s free to send their kids to a (private) English school in Quebec. Unlike French schools in other provinces, these schools are available in most cities, at a cost affordable for most parents. Parents can also send them to English summer camps or travel in the US or the ROC, most families in Quebec have more English TV channels than French ones, etc. It’s difficult to find a non-English nation with easier access to English education. On the other hand, I never went to an English school, nor an English summer camp, and my parents don’t speak English. I still managed to learn English without it. So what’s the problem with English education accessibility in Quebec again? It’s difficult to find a non-English nation with easier access to English education. Sorry, but I couldn’t read the rest of your post because I was so busy laughing. Which “nation” specifically are you referring to? Important not to quote it out of context. There is also a poll saying 90% of people want the federal government to respect bill 101. This is one of these polls where 90% of people are against raising taxes, 90% are against cutting spending and 90% don’t want to let the debt grow. I remember reading a while ago a psychology report (I can’t find it) saying that there were two types of people when it comes to politics: poeople are either ideologues or incoherent. In addition to public immersion French programs, there are lots of affordable francophone French education schools here in Ontario, paid out of general taxpayer revenues, both Catholic and protestant public French schools. In theory you are supposed to have French language rights or come from somewhere in la Francophonie, but in practice, if your oral French level is good enough the Superintendant (du conseil scolaire) will admit you even if you don’t have French language rights. The criteria is that neither you nor the other students would be held back by your level of French, and perfect fluency is not expected to get in. Thus if you have done well as a student in early immersion you have an excellent chance of getting into a true and fully francophone school here in Ontario, if that is what you and your parents desire. I think that there are a lot of Québec families who could not afford the cost of a full English school, even if it was as little as $5000 per year, (and believe me I have no idea what these schools cost in Québec). Private schools in Ontario typically cost $20,000 per year. Even the PQ has considered a policy to offer enhanced English curriculum in public francophone schools, I guess beyond what is currently available. So I suppose if 61% of francophones themselves support a choice, that should be taken into serious consideration as Tony mentions. I posted my personal educational experience with my kids in the blog previous to this one, as I got sick of this particular thread/fil/forum, but I guess gébé and littlerob are watching hockey right now, supporting the Flyers. Thanks for the precisions; I had no idea that the term in Poland has a different meaning than in Germany. It is true that historically, there were strongs ties social-democracy (even before the PQ) and nationalism (at least the kind leaning toward independence, vs the duplessist kind that the ADQ tried to revive). I am not sure they will survive for very long. Marois and the PQ are presently proposing to “modernize social-democracy”, and that basically means a turn to the right (whereas it is not sure at all that it is the good thing to do: somebody has to be historically illiterate to assert that taxes are very high right now, relatively to the past century, so no wonder we cannot afford the same things we did). But still, on four parties in Québec, both independentist parties (QS, PQ) are (at different level) social democrats, and both federalist parties (ADQ, PLC) are leaning toward the right. (Though, to be fair, since most (all?) advanced countries have a mixed economy, you can say that most have social-democrat government at some level – it’s not really a yes or no question – pure capitalism do not exist since the Crash and the Great Depression and pure communism is clinically dead since the Berlin Wall fell). Tancrède, C’est pourquoi des statistiques ne montrent pas du tout l’état de l’âme humaine. On peut être incoherent mais on ne devra jamais un idéologue. Les gens connaissent la meilleure voie pour eux-mêmes, même s’il te paraît contradictoire! They want the law respected by the federal government and it is! Politicos may posture about it but the “not withstanding clause” is there and continues to protect 101.
thinks a policy of teaching some English in the public francophone schools would be a popular innovation, whether or not it dilutes the full force of 101. Indeed 101 is kind of a fall back position in case things get truly out of hand and francophones are not learning to read or write French properly. And what the heck, half the anglo speakers here in Ontario can’t really read well or write well anyway. One has to be realistic about what one expects of others. Alors, Bill 101, bien oui, mais il se faut penser aux avantages d’apprendre l’anglais aussi. It seems contradictory but it actually isn’t. The average guy does NOT take up a rigid all or nothing ideological postion. He or she makes compromises, is practical and adult people are not stupid. You are right that pollsters with a certain marketing slant ask questions a certain way, and polls are notoriously unreliable, especially in matters of the heart. People wish freedom of choice and they also take comfort in the protections of bill 101. It is not really an oxymoron. I hate this current forum, so I recently posted my thoughts about Québec education in the previous blog. If you would be so kind as to go back there, and give me your comments, I would appreciate it, Tancrède! Merci, and cheers en tout cas! There is also a poll saying 90% of people want the federal government to respect bill 101. I think what you are referring to is whether people want Bill 101 to apply to federal governmental services in Quebec. This is one narrow aspect of Bill 101 which has nothing to do with education. Specifically, the Official Languages Act (and parts of the constitution) say that federal government services must be available in both French and English (including those federal services, through agreement with Quebec, which are administered by the province). To apply Bill 101 to these services would mean that these services would not have to be available in both languages. That, I believe, is what the poll you mention is referring to. And there is no conflict between wanting those services only in French with wanting freedom of choice in language of education. Two different things. You should also note, Tancrede, that there is a provision in the Official Languages Act that would allow anglos to, in effect, use the Office of Commissioner of Official Languages as a federal “language police” when Quebec doesn’t offer equal services in English to French for those federal programs it administers (e.g., the GST). But, unlike Bill 101 in which Quebec citizens file hundreds of complaints against anglo businesses a year, I know of not one instance in which anglos have done that against francophones under the OLA. Back in mid-1979, when Zbigniew Brzezinski first got the US into bed with the Islamist militants opposed to the Soviet-backed government in Afghanistan, I thought–and still think–that he was following a policy that derived in a straight line from that advocated by Jozef Pilsudski, founder of the PPS, and by many Poles before and since: “The enemy of Russia is my friend.” I was a wee bit suspicious of Brzezinski’s policy at the time (the Soviets fell into the trap that Brzezinski prepared for them, of course, and invaded, and Brzezinski’s policy was continued and expanded by the Reagan administration), but like most of us here I didn’t say anything and went about my business. We all know what is going on in Afghanistan now—it involves both of our countries, of course. At any rate, I still think that Brzezinski must have had his country of birth in mind when he initiated his policy, and I suspect that he just may have been calling to discuss that policy with his buddy Piotr Wandycz when I was in the latter’s office that day so many years ago. @bruce: Je suis Americain, de Pennsylvanie. Il est maintenant obligatoire ici d’appuyer les Flyers. :-) Et comme beaucoup de Francos jouent pour notre equipe (Briere, Giroux, Gagné entre autres), je vous gage qu’il y a assez de Québécois qui en sont partisans aussi. No, it just means you should ask clear questions, beware of many effects that can corrupt your data, not assume that people will always be coherent, in short, follow the basic methodoligical guidelines for survey. Sadly, it’s not always done. That doesn’t mean that knowledge is impossible or that we should rely on intuitions or anecdotes, just that we should be careful in interpreting poll results. And polls are not, by any means, a way to argue for something. When say, 60% of the population of a given province say they are racists (including immigrants – the results were basically the same in all provinces) that doesn’t means that all of a sudden it’s a good idea to be racist. If (fictive example) 60% of people want drastic tax cuts for the 1% of the more riches because they think those will work more, invest more and give back more in taxes (the Laffer curve hypothesis), that doesn’t mean they are not just badly uninformed. Democracy doesn’t mean that the people is right all the time, it’s just a way to arrive at a collective decision that is better than dictatorship or the law of the jungle. I will try to go see what you wrote in the other thread.